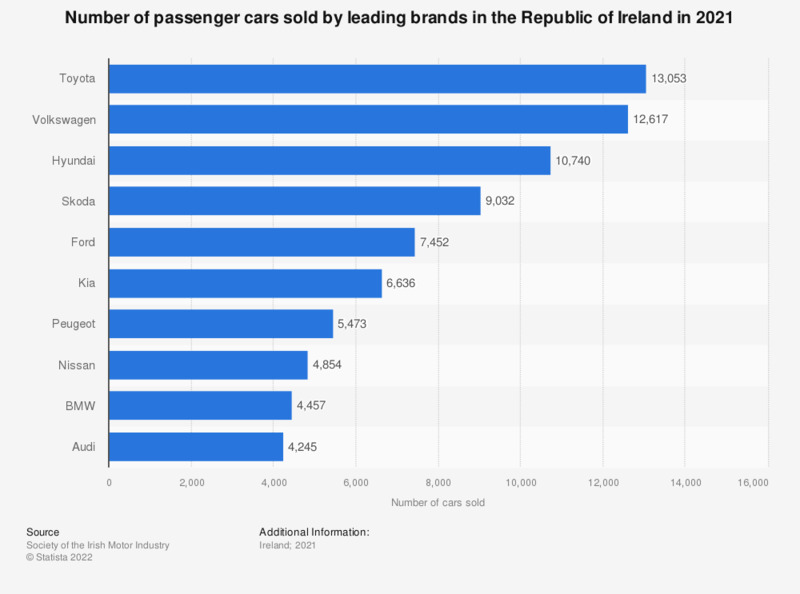 This statistic ranks the twenty best selling car makes in the Republic of Ireland in 2018 by number of units sold. The leading manufacturer was Volkswagen, with 7,497 units sold, followed by Toyota and Hyundai. Everything On "Transport industry in Ireland" in One Document: Edited and Divided into Handy Chapters. Including Detailed References. Statistics on "Transport industry in Ireland"